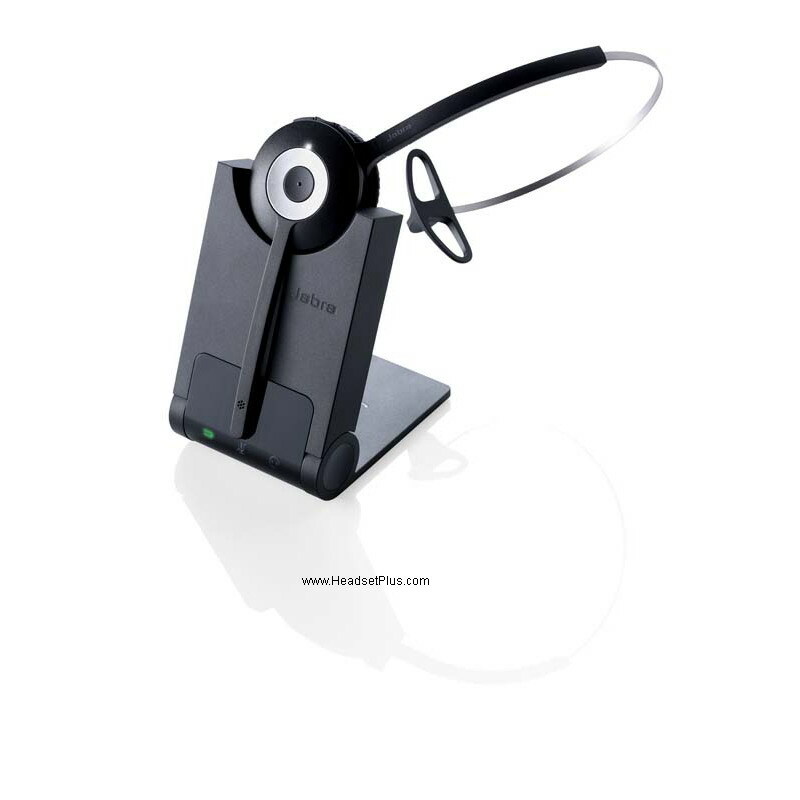 Are you in an IP (Voip) call center using softphones where you need train a new staff using USB headsets? A Windows computer can only recognize one USB sound device at a time. So the computer cannot activate two USB headset at the same time. 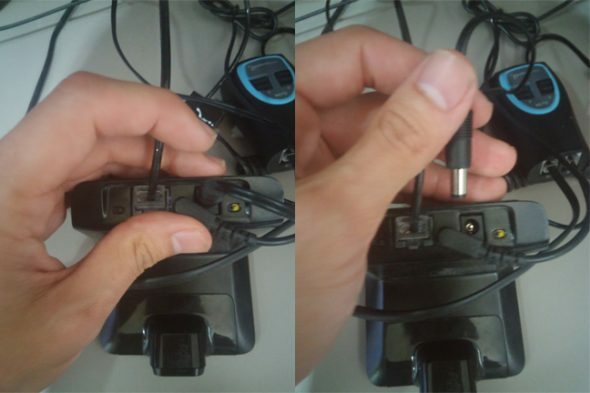 You can connect two USB headsets, but only one can be turned on. 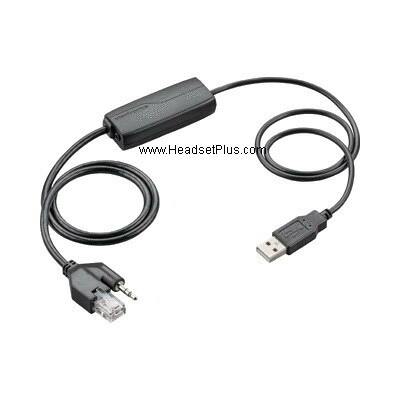 There are no solution to utilize two USB headsets on a computer as training headsets. The reason is because your computer OS (Windows or Mac) does not recognize more than one USB headset at one time. This is a limitation of the computer OS. 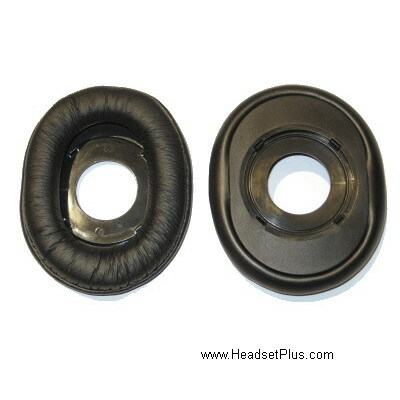 Still not clear, call one of the headset experts at HeadsetPlus.com 877-999-3838. they can answer any questions you may have. 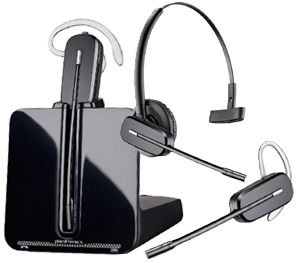 Today we will be going over the best add-on’s and accessories for Plantronics headsets. Everyone know’s that add-on’s and accessories are just cheap junk that only suckers get suckered into buying, right? Wrong. The right add-on’s and accessories will leave you wondering how you ever functioned without them. They will raise your level comfort, increase your productivity and make you believe in a higher power. 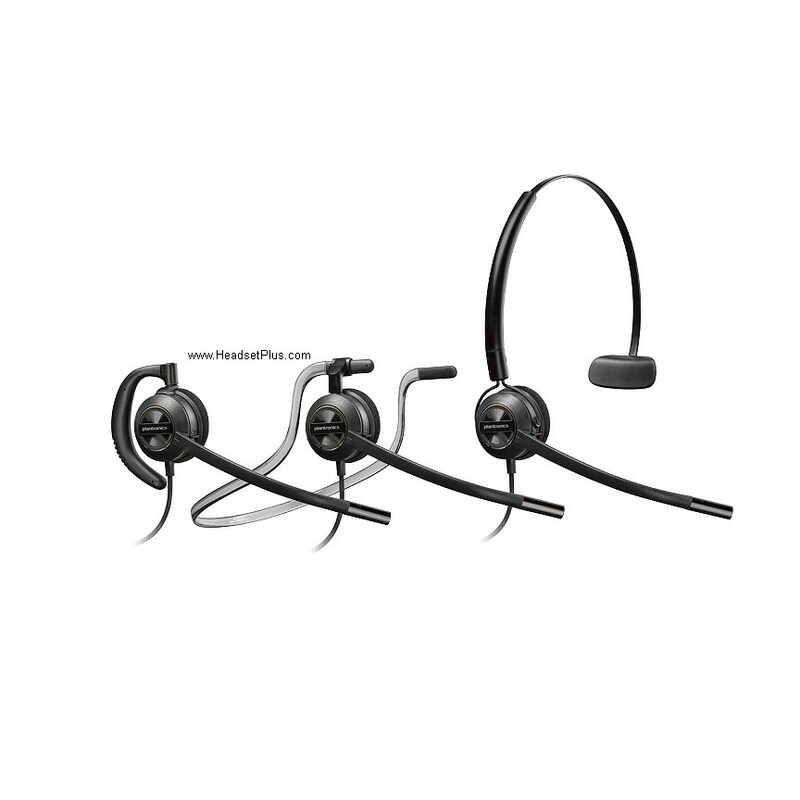 Plantronics has been the most trusted brand in office headsets and are used in everywhere — call-centers, emergency response units and virtually every Fortune 500 company — their products are synonymous with quality and reliability. Today we will see what add-on’s might best suit your needs. Tired of your headset constantly getting pulled off every time you try to stretch or lean back in your chair? If you don’t have ability to go wireless, do the next best thing and get the Plantronics lightweight extension cable. Give yourself an extra 10 feet of wiggle room and the freedom of movement that you won’t realize you were missing. Don’t be tied to your desk like some bizarre world tether ball, get an extension cable! BUY NOW! In desperate need for some peace and quiet? The Circumaural Leather ear cushions will perform well in even the noisiest work space, ensuring you never miss a word. The leather ear cushions will snap over your supra plus headset (Plantronics HW261N, Plantronics HW520 compatible), covering your ears, sealing off any unwanted to noise. Invaluable to those who are hard of hearing or in noisy work environments. BUY it NOW! Tired of your coworkers and supervisor indiscriminately making their way into your work space while you’re on call? Get the In-Use busy light by Plantronics so the next time they inconsiderately wander into your space to bother you about the latest TPS reports, you can point to the busy light and gleefully take in their looks of embarrassment without having to say a word! BUY NOW! Make sure your Grandstream phone is model GXP2124, GXP2130, GXP2140, GXP2160, GXP2200, GXV3240, GXV3275 or it won’t work. 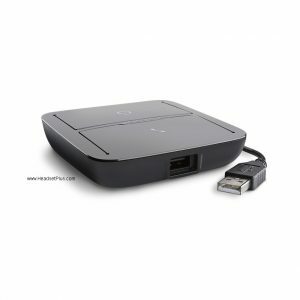 If you have other Grandstream models no on this list, you will need to use HL10 lifter for remote answering. Make sure your Grandstream phone have a firmware 1.0.4.23 or higher, otherwise it won’t work with the Plantronics APD-80. 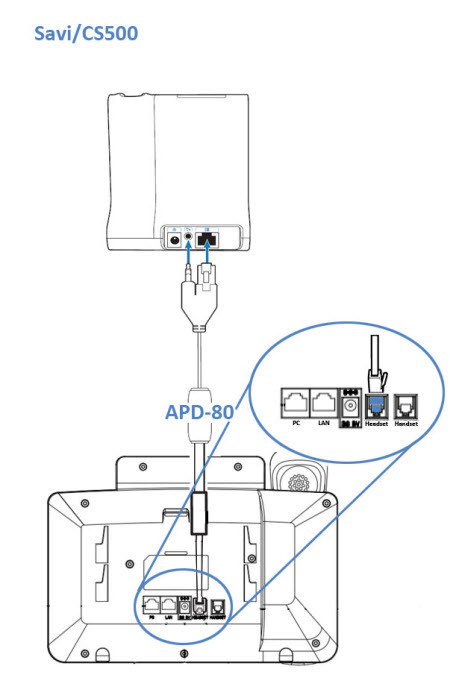 If needed, purchase an additional 85638-01 extension cable if the APD-80 doesn’t reach your Grandstream phone. 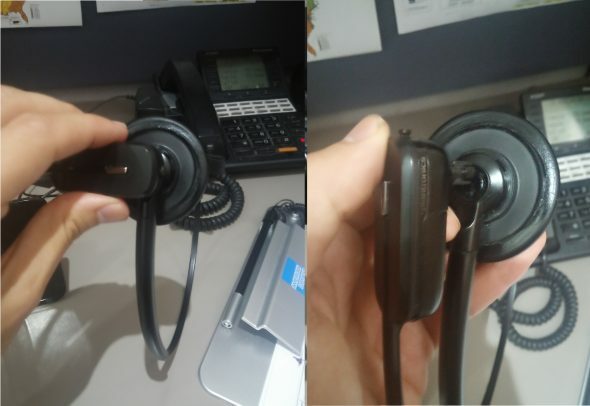 If you experience an echo (feedback) using a Plantronics wireless headset, you may need to adjust your headset transmit volume on the phone using the following steps It’s best the your telephone administrator perform these steps if you’re not familiar with the Grandstream phone administrator functions. 2) Login into the Grandstream’s phone IP address. Make sure the Grandstream phone is turned on and shows it’s IP address. 3) Open a Web browser (like Internet Explorer) on your computer then enter the Grandstream’s phone IP address in the address bar. 5) Go to the audio control panel. Select headset TX (transmit) gain, adjust the level so is lower your current level (default is 0). If you’re at “0”, set it to -1 or -2 until your echo is eliminated and your call can still hear you. 6) Save the new settings by pressing the “Save” or “Save and Apply” button. Reboot the phone to take effect. If you have further questions regarding the Grandstream compatible headsets, call HeadsetPlus.com at 877-999-3838, our headset specialist will answer any questions you may have. For all businesses it is important that they train their employees correctly so they know how to deal with unique or difficult situations. The companies that utilize phones for most of their business need to be able to train their employees by listening into their calls and making sure the information they are providing is correct and up to date. 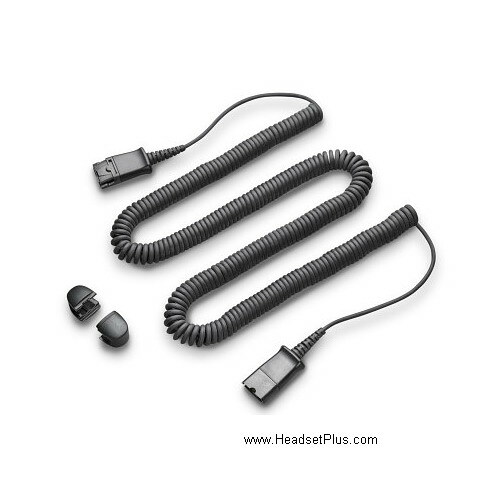 There are special training cords for both Jabra and Plantronics corded headsets. 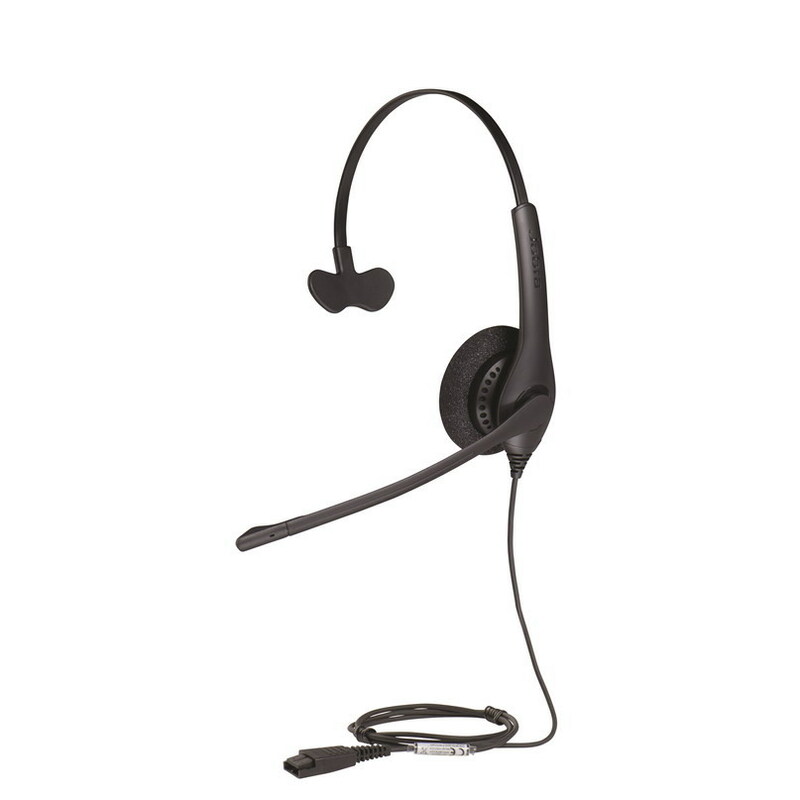 For Jabra there is the Y training/Supervisor Cable which enables the trainer to listen in on a conversation and also interject if needed. Then there is the Y-training/supervisor cable with observe only functionality which enables the trainer to listen in but not interject. For Plantronics there is only the y-training/supervisor cord, splitter with mute switch. This enables the supervisor to choose whether they interject or not by simply hitting the mute switch. For wireless headsets that are older than the CS500 series you can use something called a Zoomswitch. 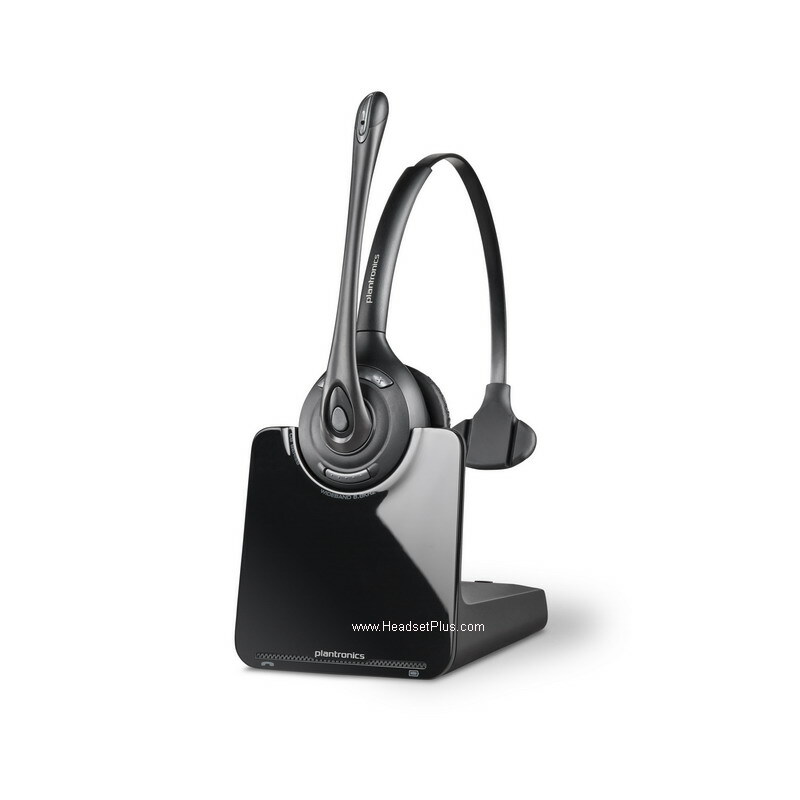 The Zoomswitch enables you to connect two wireless headsets two it and then connect it to the desk phone. This allows two people to be on the same phone call just like the training cables. 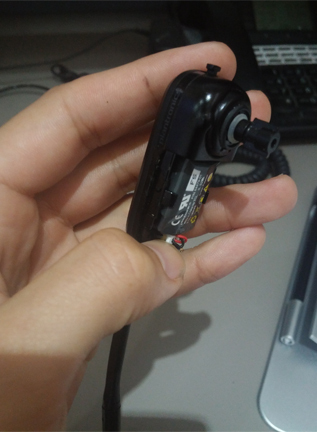 For those rare cases that you have both a wireless headset and a corded headset and wish to use them both for training you can still use the Zoomswitch. 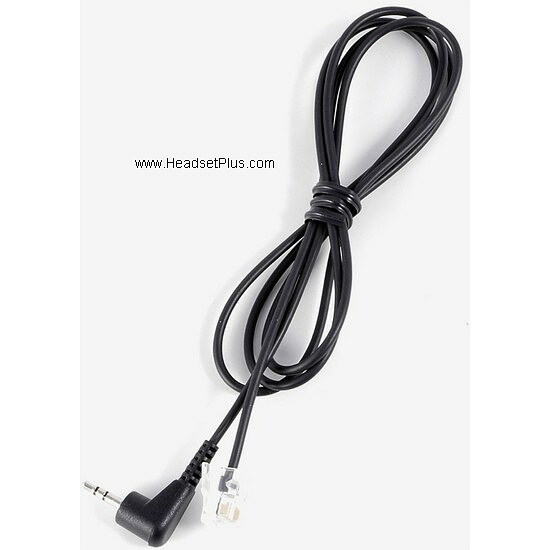 However you will need to make sure you have an amplifier which connects from your corded headset to the Zoomswitch. 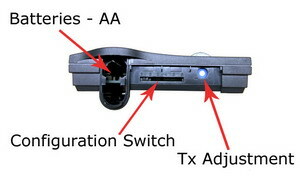 The reason you will need an amplifier is because the Zoomswitch connects to the handset port which normally does not have any amplification by itself. Therefore you will need an amplifier to amplify the signal up to the corded headset. Since the wireless headset has an amplifier built into the base it does not need to be connected to an amp. Here is the training setup for the zoomswitch, found here. 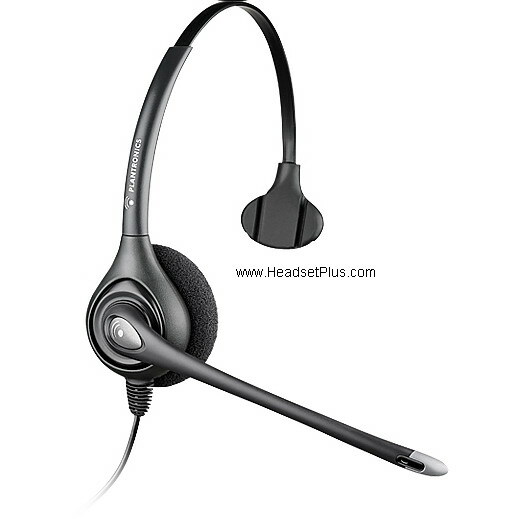 Still have questions, call one of the headset experts at HeadsetPlus.com 877-999-3838. they can answer any questions you may have. If still disconnecting, put the headset on the cradle, unplug the EHS cable from the back of the headset cradle, unplug the cable from the back of the phone, make sure all plugs look straight and undamaged, then plug it back into the devices. The 5-prong fork plug is especially difficult, make sure it is straight and firmly in place. If you are still having trouble, please contact us at 650-306-9768, ask for Andrew! If you are using a Plantronics Wireless Headset via Plantronics APP-51 Electronic Hookswitch Cable into a Polycom IP Phone, and intermittently the headset will cut/drop out of the call- follow these steps to try and troubleshoot the problem. On the Polycom Phone, get to the Menu. Then select the following options: Settings > Basic > Preferences > Headset > – then look for the following- Plantronics Mode/Plantronics Hookswitch Mode / Plantronics EHS, Press Select/Enable, then the phone should reboot. Once this is done, initiate a ‘hard reset’ by unplugging the phone line or Ethernet cable from the phone, wait 15 seconds, then plug the line back in. 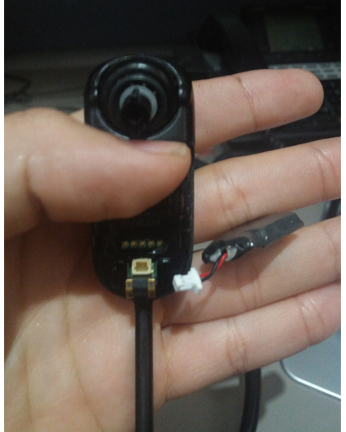 Next, you will have to reset your wireless headset, the following pictures show a CS540 Wireless Headset System – the battery panels to other headsets can be found on the ear piece in different locations. 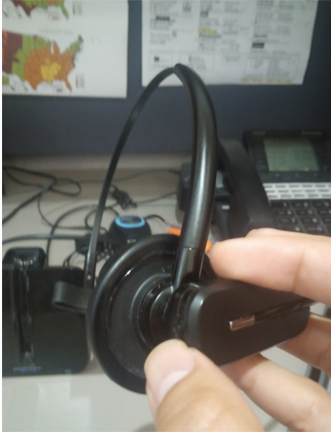 Step 7: Pair the headset by holding the “Volume Up” button for 10-15 seconds. On the CS540, it’s a little knob you have to hold up if held so the ear piece would be on your right ear (as shown in picture). The blinking on the base should change to solid white. Once this is done, you should be finished and experience no call droppings! Cheers! 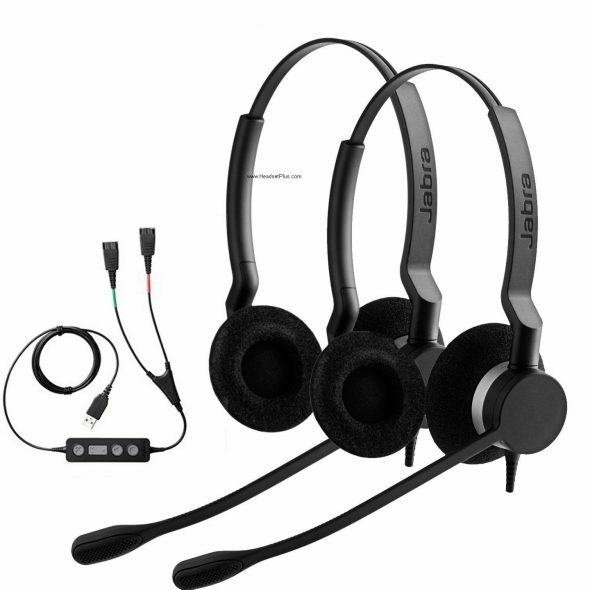 Have you been looking for a headset for your MagicJack telephone device? We have the headset for you! 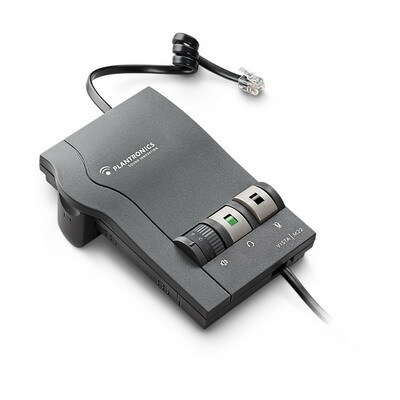 (1) Plug directly into the MagicJack: Any Telephone with a headset, for example Plantronics T10, Plantronics CT14. 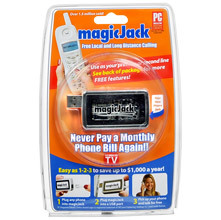 (2) MagicJack comes with a PC soft phone for your computer PC or laptop, so you can use any computer USB headset via the USB port on your computer. 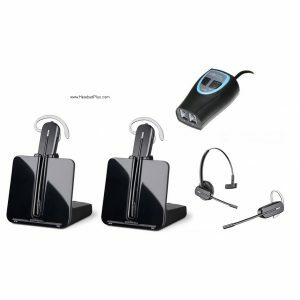 If you have the extra budget, you can also go with a wireless USB Headset or the new Plantronics Savi W740 for use with both office phone and MagicJack. Do I need an amplifier (Plantronics M22) for my phone? Most telephones do not provide adequate power for a headset. A headset amplifier will provide additional power for the headset via batteries or an AC adapter. Amplifiers also offer volume (incoming and outgoing) and mute controls. 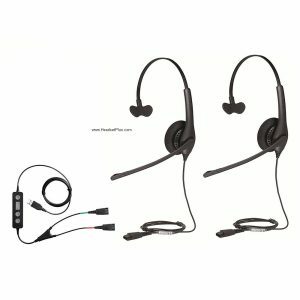 Plantronics M22 and Plantronics M12 (older model) headset Amplifier connects Plantronics H-Series headsets to just about any single or multi-line “office” type phone and offer ergonomically designed volume, headset/handset, and mute controls. 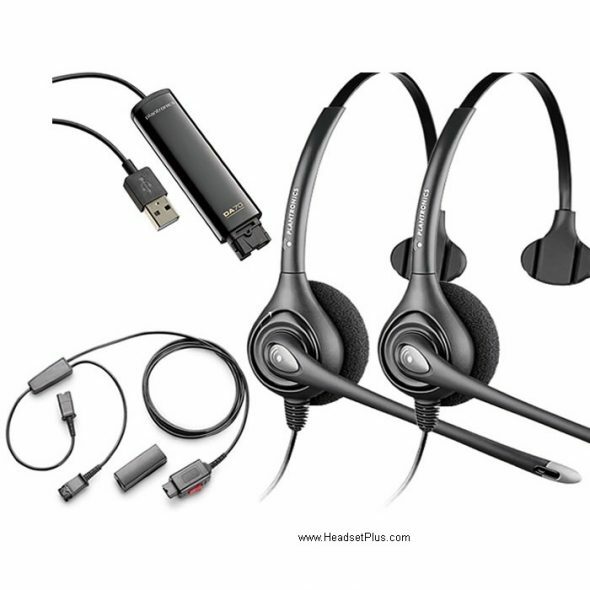 Connects Plantronics headsets to most single or multi-line telephones. Plantronics M22 Installation instructions – The line cord coming out of the wall stays in your telephone. The hand receiver cable is the only cable to be removed from your telephone. 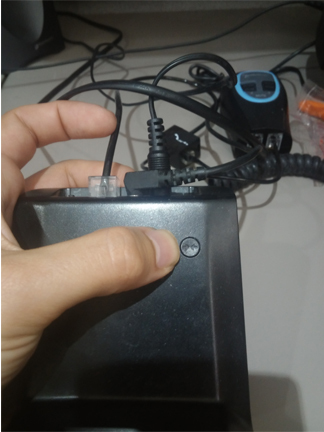 Unplug the Hand receiver from the base of the telephone and connect it to the back of the Plantronics Vista M22, where it shows a picture of just a hand receiver. 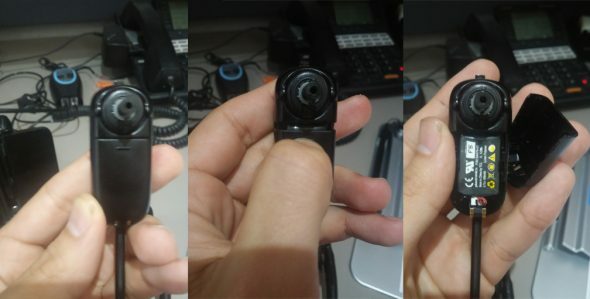 Then the short cable that came with the Plantronics Vista M22 gets plugged into the back of the Vista M22 where it shows a picture of a full telephone and the other end plugs into where the hand receiver used to be. Uses 2 x AA batteries or optional Plantronics M12/M22 AC adaptor Compatible with most modular phones Installs in the telephone handset jack Supports carbon handsets (or equivalent), standard electronic handsets including Electret, Dynamic and ceramic Includes mute, Outgoing (Tx) volume adjust, and Receive (Rx) volume adjust 6 position configuration switch Handset/Headset switch. 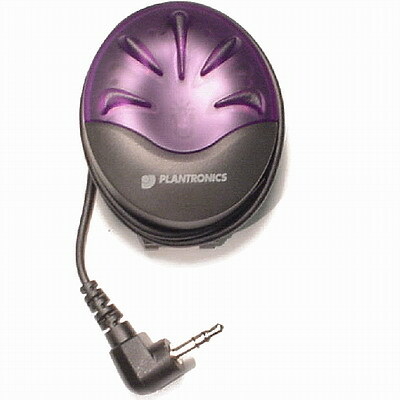 The AC adapter for the M10/M12 & Plantronics M22 amplifiers is 7.5 – 12 volts 200 milliamps, DC center positive. Want to use a wireless headset with remote answering option on the Polycom IP phone 320, 321, 330 and 331? 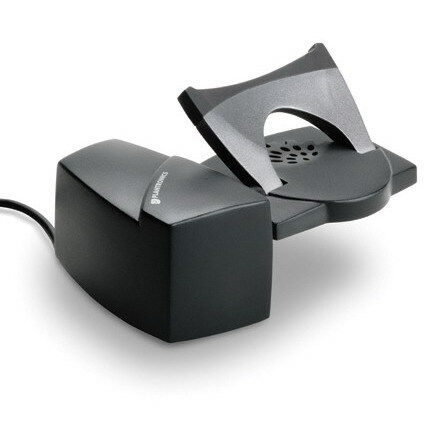 This solution is much more cost effective vs getting the GN1000 lifter+Polycom Lifter Accessory.